Take a look at our product range below. If you need help placing an order or choosing the right type of bag, get in touch with one of our knowledgeable sales staff – they’re always happy to help. 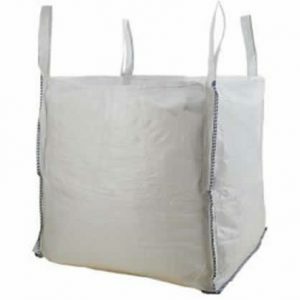 Bulk bags are also known as FIBCs, or flexible intermediate bulk containers. FIBCs are industrial containers that are made from a woven polypropylene fabric. The nature of this type of fabric gives the bag great flexibility, so it can easily be folded and stored away when not in use. They can generally carry loads of 500kg up to 2,000kg, with a capacity of up to 3 cubic metres. They are ideal for storing and transporting a wide range of bulk materials, including powders, aggregates, plastic granules, pellets and sand. Due to its versatility, this type of bulk packaging is commonly used in various industries, such as plastic recycling and compounding, building and construction, food and animal feeds. 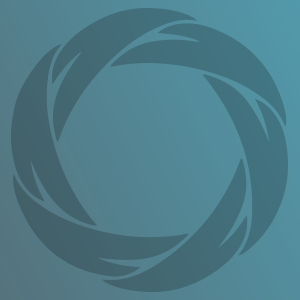 They can be produced for single or multi-trip use. Multi-trip FIBCs are made from a heavier grade of fabric that is certified to allow multiple lifting, filling and discharging for reuse. 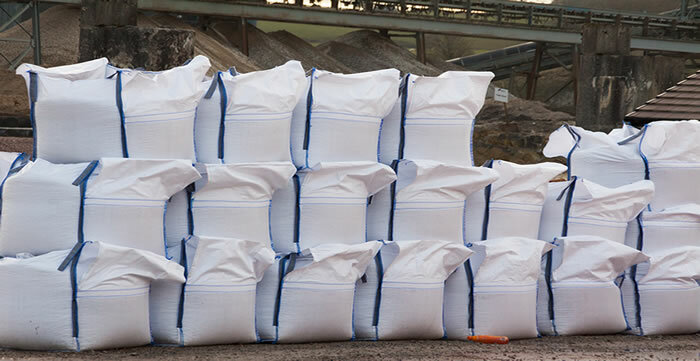 All our bulk bags & FIBCs can be custom-made – choose the size, dimension and even the mechanisms for controlling how the bags are filled and discharged. Our bags are tested and certified to meet global industry standards, ensuring conformity to the safe working load requirements. ATL Dunbar’s FIBCs can be printed up to 3 colours on 4 sides of the bag. This is an ideal and cost-effective way to advertise your products, services and brand through kerb side advertising. Also a full range of coloured fabrics are available which can add brand value to your product.